Intertribal Court of California (ICC)- Tribal court chartered by a consortium of Indian tribes to address legal issues authorized under their collective judicial authorities. ICC is a court of limited jurisdiction authorized by an inter-tribal governing agreement, exercising jurisdiction over cases involving on reservation housing disputes (eviction cases) and cases involving the welfare of the children of member tribes. The enrolled members of the consortium tribes and other interested parties may also submit cases to the court mediation services for resolution. California Indian Museum - The California Indian Museum is a project made possible by NIJC to acquire, record, preserve, study, interpret, and exhibit information of the outstanding importance on the history, cultural heritage, and contemporary life of the indigenous people of California. The Museum's goal is to light the way--the spiritual, social, economic, and personal way-- for native people of the Western hemisphere and the Pacific Islands to come together and share. The Native American Bar Association - Bar association for Native American lawyers and attorneys interested in federal Indian law. Lisa Mitten's Native American Sites - Contains a vast amount of Native American links. National CASA Association - National Court Appointed Special Advocate Association is a nationwide movement of community volunteers who provide legal assistance for abused and neglected children. 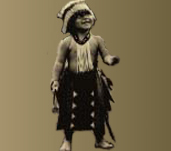 California Indian Legal Services - CILS is a non-profit American Indian controlled law firm which provides specialized legal representation to California Indians and Indian tribes. CILS provides free or low-cost representation on certain matters concerning Indian land base, self-determination, and Indian heritage. Federal Highway Administration (FHWA). The attached is a list provided by DOJ of PL-280 status for each federally recognized Tribe. Bold indicates PL-280 status. Strikethrough indicates NOT PL-280. Italics indicate that the PL-280 status has changed over time; this would typically be due to a retrocession process converting from PL-280 status back to federal and tribal jurisdiction over criminal matters. Federal Highway Administration (FHWA) The attached is a list provided by DOJ of PL-280 status for each federally recognized Tribe. Bold indicates PL-280 status. Strikethrough indicates NOT PL-280. Italics indicate that the PL-280 status has changed over time; this would typically be due to a retrocession process converting from PL-280 status back to federal and tribal jurisdiction over criminal matters. Native American and Alaska Native ECR - U.S. Institute for Environmental Conflict Resolution. Provides collaboration and conflict resolution services across a range of environmental, natural resources, public lands and trust land issues involving Native American and Alaska Native communities and federal agencies or interests. Native Nations Institute - The Native Nations Institute for Leadership, Management, and Policy (NNI) was founded in 2001 by The University of Arizona and the Morris K. Udall and Stewart L. Udall Foundation as a self-determination, self-governance, and development resource for Native nations. It is housed at the university's Udall Center for Studies in Public Policy. Native American Congressional Internship - The Native American Congressional Internship Program provides American Indian and Alaska Native students with the opportunity to gain practical experience with the federal legislative process in order to understand first-hand the government-to-government relationship between Tribes and the federal government. The internship is funded by the Native Nations Institute for Leadership, Management, and Policy. Udall Undergraduate Scholarship - The Udall Foundation awards scholarships to college sophomores and juniors for leadership, public service, and commitment to issues related to Native American nations or to the environment. California Department of Social Services (DSS)- provides important information about the Tribal Consultation Policy. Click the link to the Tribal Consultation Process website which was has information about listening sessions that were held at the ICWA Conferenc. Bureau of Indian Affairs - "Responsible for the administration of federal programs for federally recognized Indian tribes..." - Also contains directory of phone numbers and addresses of all Indian tribes. BIA Law Enforcement Program - "responsible for the overall management of the BIA Law Enforcement Program ..investigation of crimes which occur in Indian Country." Department of Justice (DOJ) - Has many Native American Programs on Indian tribal courts and law enforcement. Bureau of Justice Assistance - "Supporting criminal justice systems and communities with funding, technical assistance and training." Dept of Health and Human Services - DHHS has Native American programs as well. Division of Energy and Mineral Development (DEMD) - assists Tribes with the exploration, development, and management of their energy and mineral resources, including construction aggregate used on Reservation roads. The Stewart L. Udall Parks in Focus Program - The Stewart L. Udall Parks in Focus® program connects middle school youth to nature through photography, environmental education, outdoor recreation, and creative expression. Ever storm out of a meeting? Knowing Robert's Rules of Order can eliminate the frustrations that can often accompany group discussions. Be the person who understands what precedes a debate, how to obtain the floor, introduce motions, second them, state questions, and when to debate. The floor will be all yours...Robert's Rules of Order. 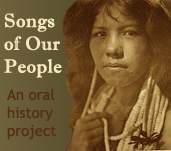 Ho-Chunk Nation Tribal Court - This website contains Tribal Codes and Constitution of the Ho-Chunk Nation. The University of Oklahoma Law Center - This website contains Constitutions from various Indian tribes. --NIJC offers for sale a model Tribal Housing Code, model Tribal Juvenile Justice Code, and model Tribal Child/Family Protection Code. Prices can be found at the NIJC Publications page. --Numerous websites have been found to have these model codes listed on their web pages without permission. --All materials produced by NIJC are copyrighted. Copyright ©1999 National Indian Justice Center. --Unauthorized reproduction or distribution of these materials or any portion of it, may result in severe civil and criminal penalties and will be prosecuted to the maximum extent possible under the law. Various websites allow the public to search for Court Decisions, Legal Documents, and Funding Availability. American Indian Law Review - To search articles concerning Indian legal issues. Tribal Law Journal - To search for articles concerning Indian legal issues. National Indian Law Library - Search the catalog online. Indian Law Resource Center - To search for updates on Indian law.